Kaweco has recently announced the release of a long awaited piston converter. 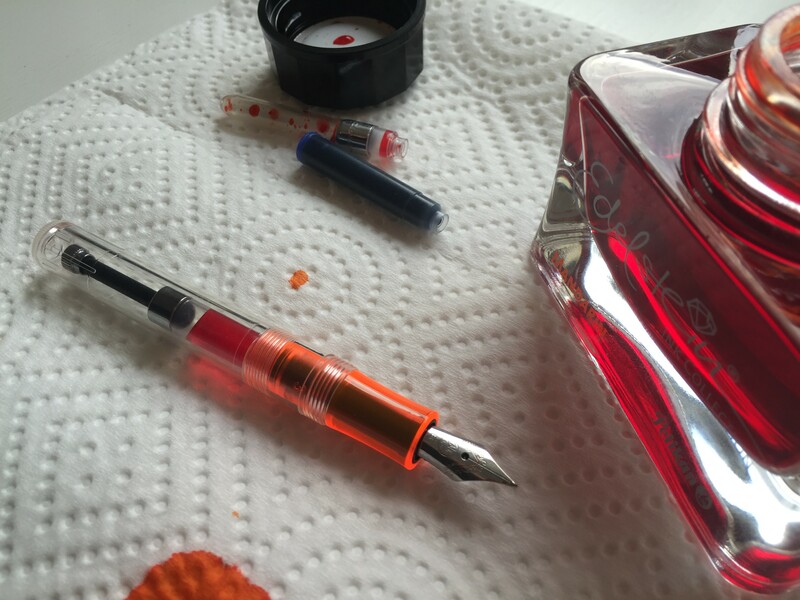 The fountain pen community was long quite unhappy with the squeeze converter that was on the market to date, since the performance was not always as seamless as one might wish it to be. Does not contain one of those small plastic pearls (you know what I mean, right) which normally ensures the breaking of the inks surface tension – so let’s see how this goes in the long run. At times the ink sort of keeps hanging at the piston-end of the converter. Not a drama though. I have already got my hands on one of the mini-pistons and shot a comparative video-review of the old squeeze converter vs. the new piston converter. Enjoy watching! And this is what it looks like once the barrel is screwed back on. Where can we buy this in the EU, do you know?